But unfortunately, Kelli can’t. Neither can Maryn. Nor can a few other of our customers I’ve spoken with over the past few months. Kelli is an alumna of three of the last four Sage Summit conventions. Maryn had reviewed the Sage Summit website after receiving our e-mails about this year’s event and wanted to give it a try. “I thought about it, but we only have two people in the office, and I cannot be gone the first part of the week because of payroll,” Maryn said. 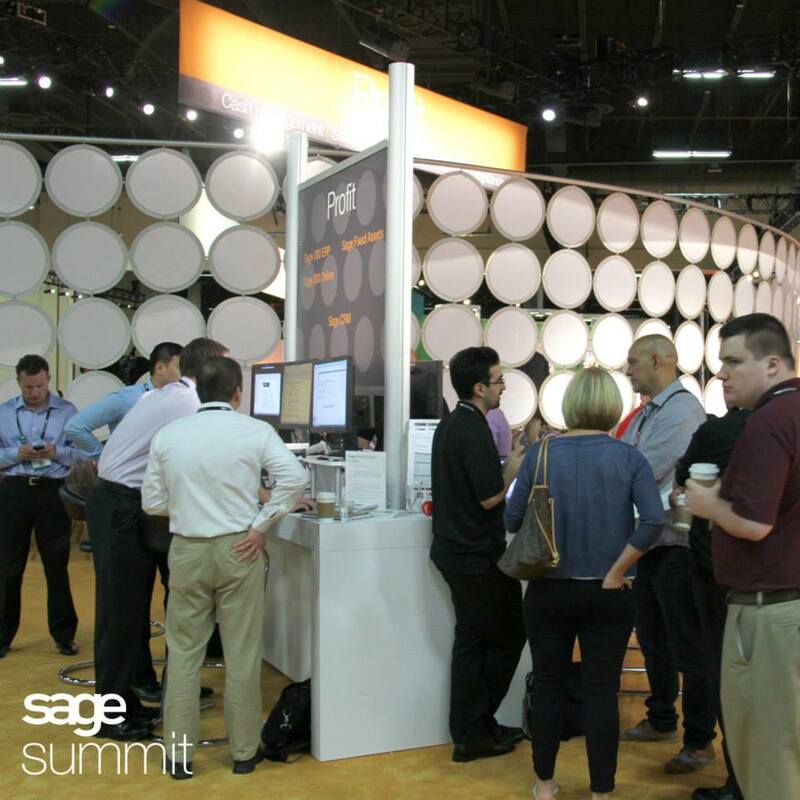 Many Sage Summit activities, such as hands-on sessions and one-on-one time with Sage techs, benefit power users. Sage Summit has been scheduled during the last week of July the last two years, which is making it more difficult for people like Maryn and Kelli to attend. They’re both what we at Practical Software Solutions call “power users,” or employees who are the tech-savvy everyday users of their company’s Sage business system who can easily translate how their work relates to their software. They’re not the C-level executives or the IT administrators. Even though they’re probably not the decision makers, their opinions are highly valued by those who do make the decisions — and by us. They’re also found in all Sage business segments, whether it’s an independent accountant all the way up to multi-million dollar companies. For example, Kelli’s company is a Sage 500 ERP customer while Maryn’s company is a Sage 100 Contractor customer. 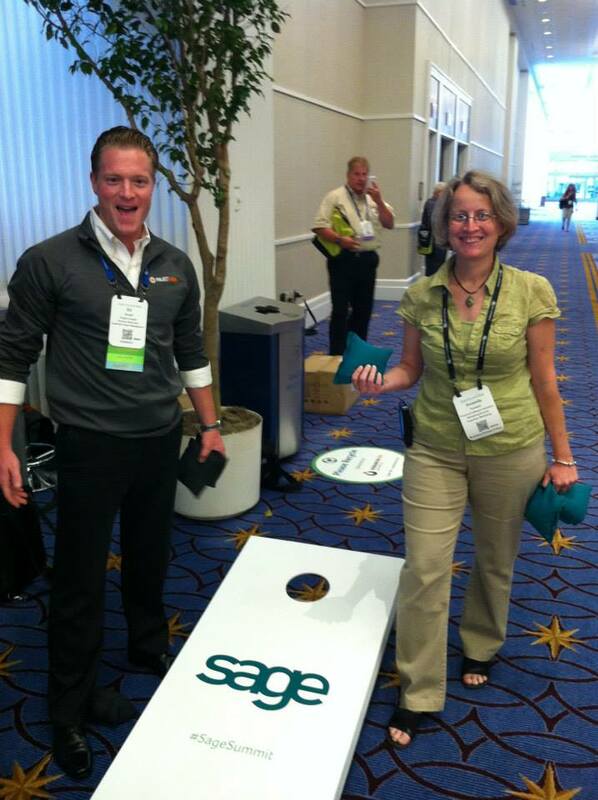 Power-users are also a target audience for Sage Summit. While executives may find more value in the thought leadership and business trends sessions, the hands-on and other software-centric sessions are designed specifically for power users. And let’s face it: There’s no way all the front-office employees from every Sage customer will be able to attend Sage Summit. (Someone has to stay behind to run the business!) The obvious ones to send would be the power users, because they’ll be the most adept at relaying what they learned to fellow employees. The good news is that the Sage events team already knows having Sage Summit during the last week of the month is a bad time for power users and their customers who are small-business owners. Then why schedule Sage Summit during the last week of a month? While Kelli and I were e-mailing each other on Friday, she asked if I knew where Sage Summit 2016 would be held. Luckily, that was an easy answer: No, because one of the big reveals they announce at Sage Summit is where the next one will be. But it also begged the question about how the events team schedules Sage Summit. Luckily, Danielle was able to provide some great insight, and I can now provide a better explanation. In the world of large-scale events like Sage Summit, booking a location is an extremely complex undertaking, sometimes needing more than a year of lead time, Danielle said. 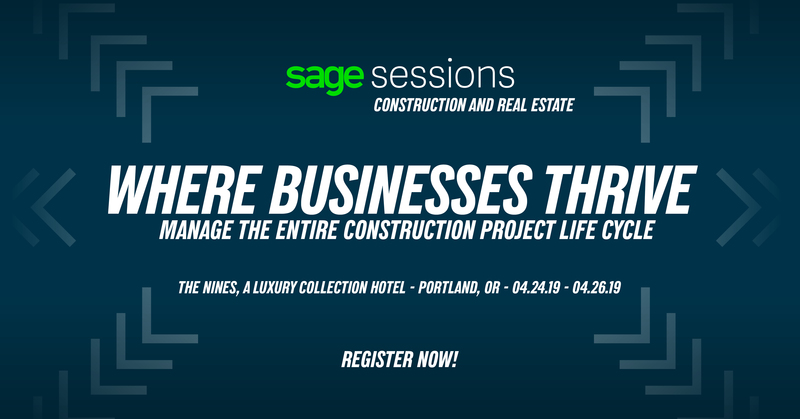 And as Sage Summit has grown over the past few years, it’s now become even harder to find enough space in a city with enough hotel rooms to accommodate the massive undertaking. Sage Summit has gone from to two smaller, separate conferences for partners and customers, then going to a combined conference, to a format that also welcomes prospects and/or those interested in learning the latest business trends and hearing the keynote speakers. Attendance has swelled to historic numbers for the event. Last year, as many people signed up under the $99 pre-Early Bird registration period than registered for all of Sage Summit 2013. As of this week, according to Gabie Boko on the Enterprise Solutions Podcast, Sage Summit 2015 just hit last year’s totals, and the last few weeks usually see an upswing in sign-ups. What does that mean for booking the new and improved event? “There are now only five cities (in the U.S.) that has enough room to host Sage Summit,” Danielle said. Having to choose between five cities is not the worst issue in the world. But it does matter when many other companies and associations are trying to book events on the scale of Sage Summit in those same five cities. And since Sage Summit only recently adopted its new, larger format recently, they’re at a disadvantage when it comes to securing the choice weeks on the calendar. From our experience exhibiting Grower Vertical for Sage ERP at horticulture association trade shows, I can verify what Danielle is saying here. In a couple of weeks, we’re going to what used to be called the OFA Short Course, which is now Cultivate. OFA stood for the Ohio Florists’ Association, and they have held their educational convention in Columbus since 1929. Even after their merger with the American Nursery and Landscape Association (now AmericanHort), they’re still hosting their international convention in the same spot, and are more than likely locked into that spot for the considerable future. The same is true for MANTS, which has been in Baltimore since 1981. Organizations like AmericanHort, which has held its annual convention in Columbus, Ohio, for almost 100 years, may book the best convention weeks decades in advance, putting a newer convention like Sage Summit at a disadvantage. Companies like Microsoft may only reserve space for their convention five to seven years in advance, Danielle said, but that’s the type of event that Sage Summit would compete with year after year. However, some companies have made some of these host cities like Orlando and San Francisco their annual destination, which makes it easier for them to book the prime times years in advance. And Sage would look like a petty copy-cat if it tried to host Sage Summit in one of its competitors’ signature location. Danielle said when they get bids from the venues, they look at times all over the calendar. They’ve decided not to schedule Sage Summit during certain months because so many personal schedules have conflicts, like May (Mother’s Day, high school graduations, etc.) and June (Father’s Day, college graduations, vacations, etc.). But Sage still has to deal with the long-standing events for picking the right dates. Or, if they did find available spots during a perfect week, but it would have been at a terrible price for the events staff. Their initial searches for the right week would have also meant a terrible price for attendees — literally. Is there any chance of Sage Summit moving off of the last week of July? But this is one of those rare times that Sage doesn’t have complete control of the situation to make a change. After talking with Danielle, I’m pretty sure the entire events team wish they could wave a wand and put Sage Summit in the best, most cost-effective week and location for everyone. But for now, until Sage “pays its dues” in cities with their larger format for Sage Summit, they’ll have to value cost over timing. I can tell you this: Danielle told me they’re working on compromise for Sage Summit 2015 that may help power users attend in the future until they can schedule future events during a better week. I’m not going to go into detail about it now, because their idea is truly going to be a beta test this year, open only to a small percentage of Sage customers. If it works, I promised Danielle that I would report on it after Summit. Until then, I can guarantee you that the Sage events team is doing everything they can to move Sage Summit away from the last week in July. “We’re always looking to help alleviate pressure of the end-of-month dates,” Danielle said.